There are many advantages to using curtains outdoors to perk up your patio, deck, front porch or garden. 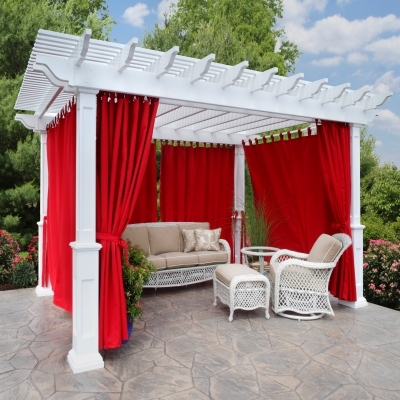 They can provide a finishing touch to outdoor structures, add color, soften hard lines, provide privacy and shelter from the sun. 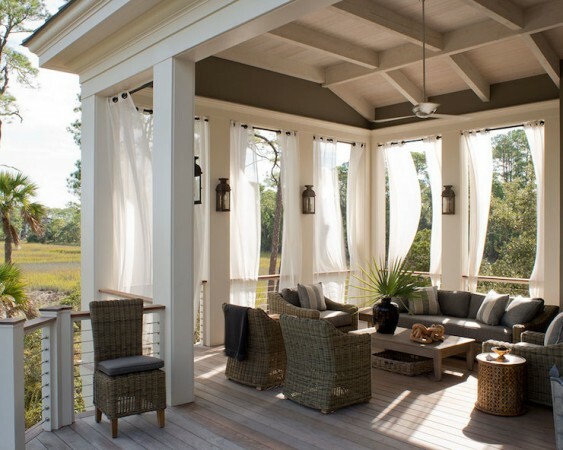 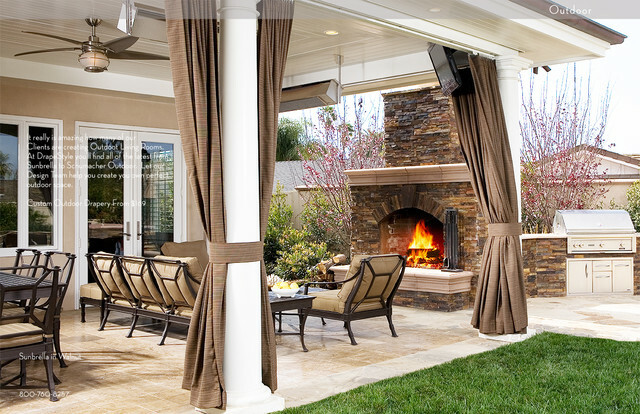 Learn how curtains perk up your outdoor space and see how they can transform your yard. 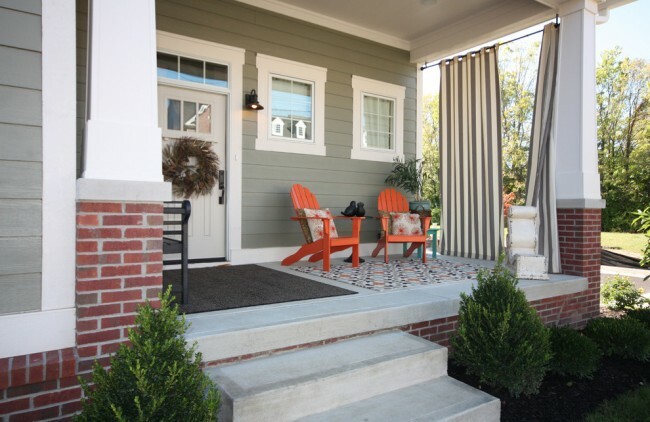 Outdoor curtains can be used on the front porch to make the space more inviting, a bit more private or to simply provide shade from the sun. 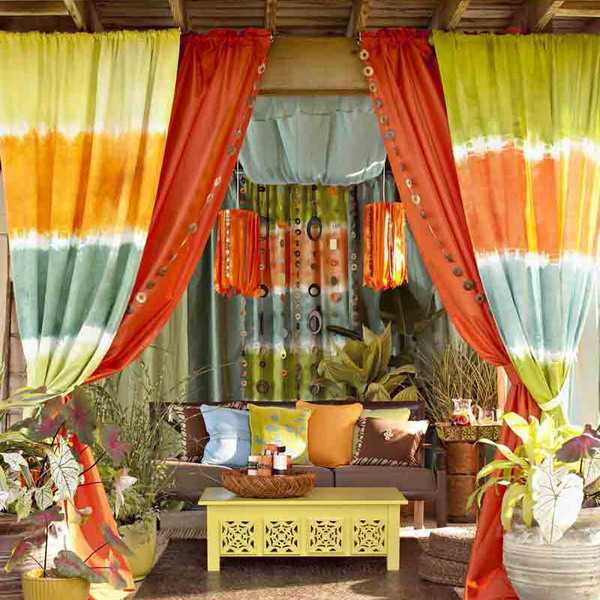 Hang them on the ends of the porch or, if you have columns, you can hang panels at each one for an interesting finishing touch. 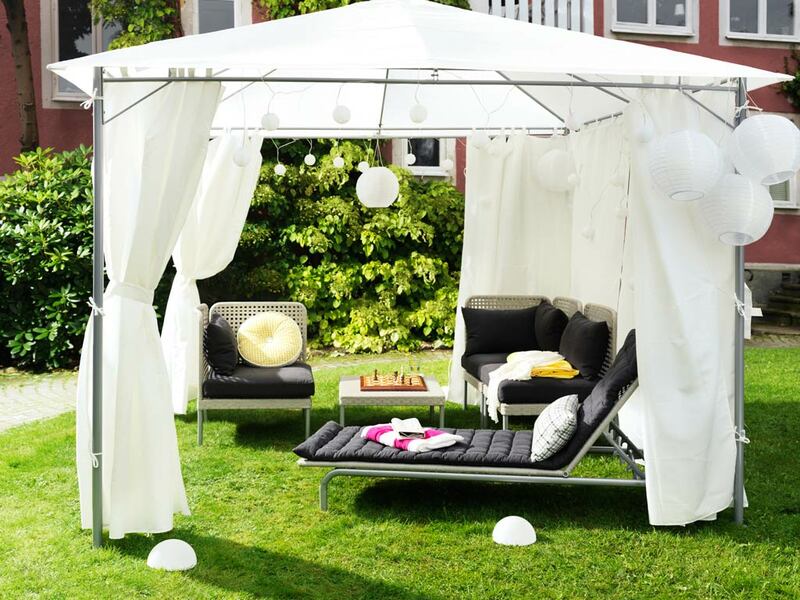 There is something very fresh about sheers blowing in a summer breeze. 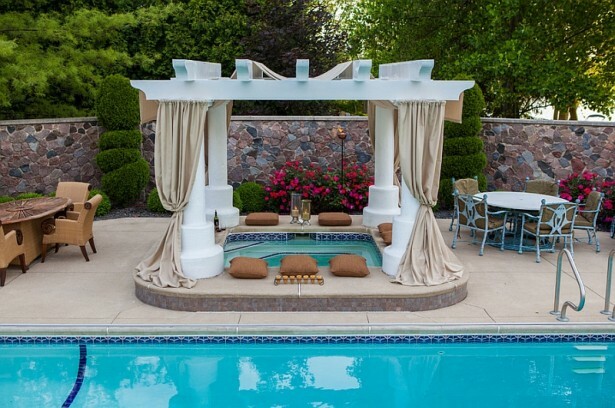 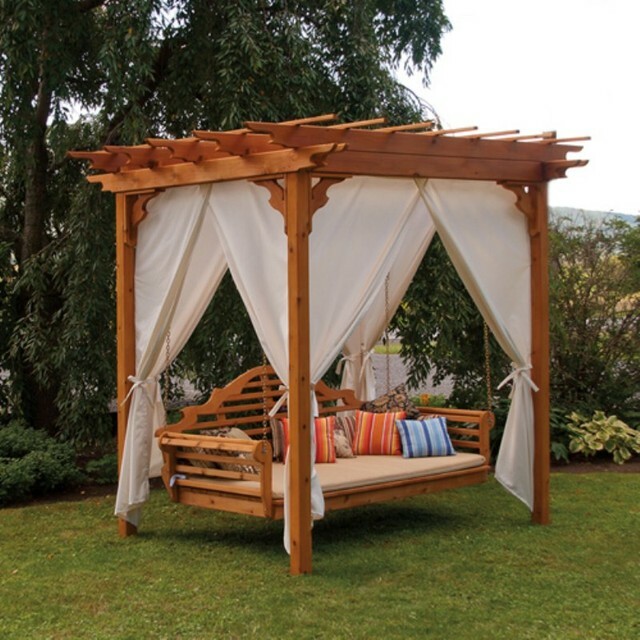 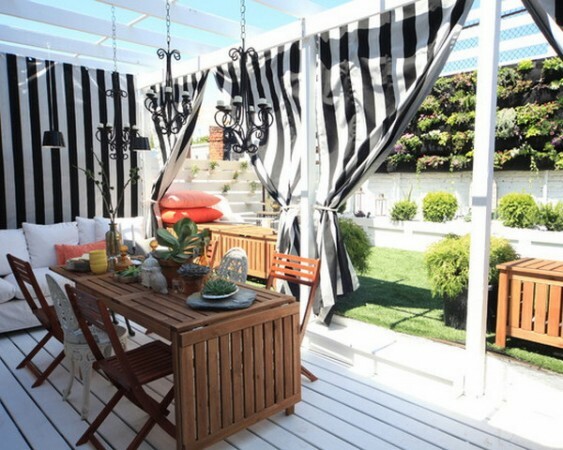 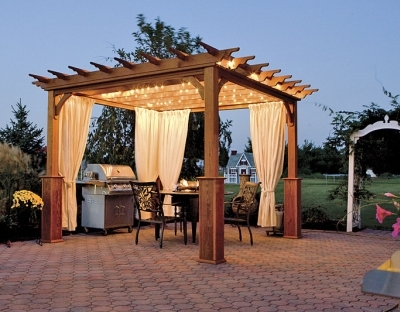 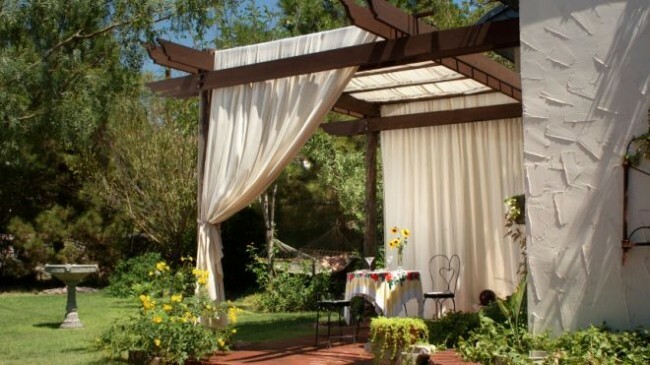 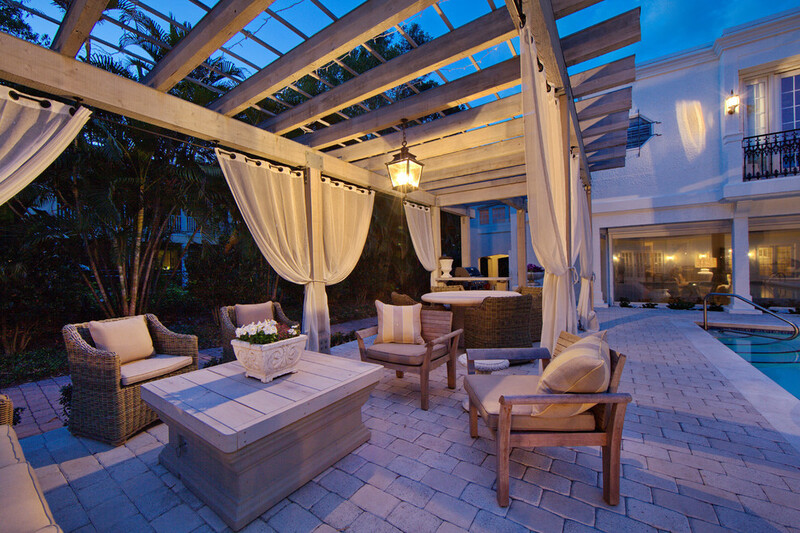 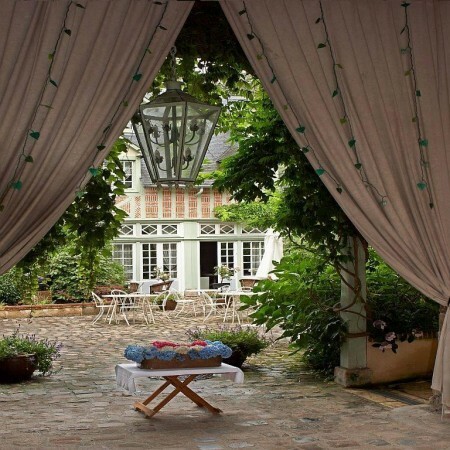 You can create this by hanging sheers or light outdoor curtains from pergolas, gazebos or other outdoor structures. Tie them up when you want a more open space or let them loose to blow in the breeze for a casual vibe. 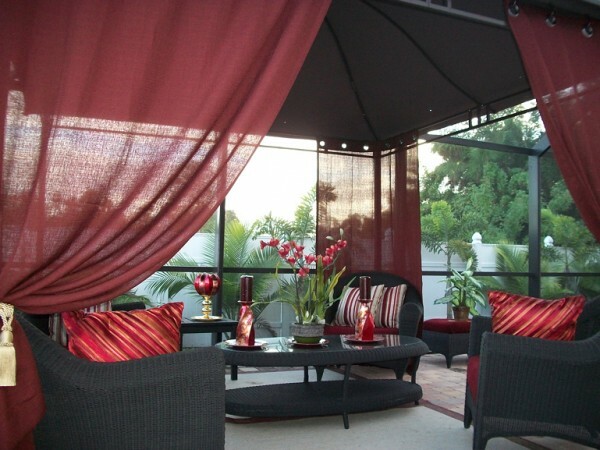 Outdoor curtains add a finishing touch to the patio or deck, as well as provide privacy or shelter from the sun. Curtains are an affordable and easy way to gain more privacy for your outdoor spaces. You can use them as a means to add color to your outdoor areas as well. 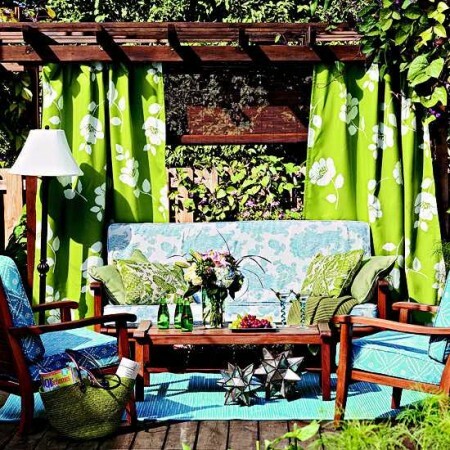 Create a festive atmosphere by adding curtains to temporary shelters for parties. Use brightly colored fabrics and accent them with string lights to emphasize the party spirit even more. 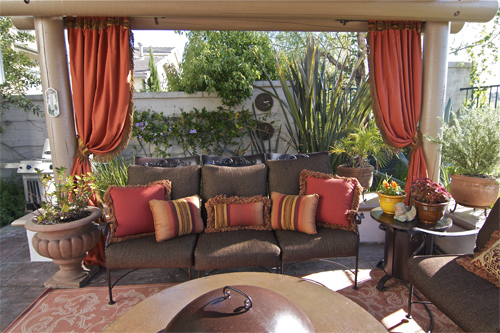 Using curtains to accent your outdoor spaces brings color, softness, privacy and shelter to your yard. 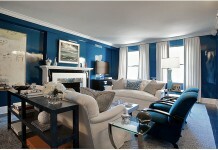 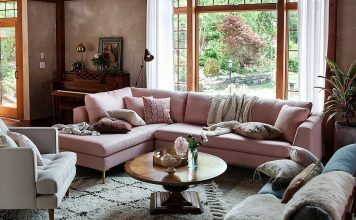 Experiment with styles and fabrics to achieve just the right look for your space. 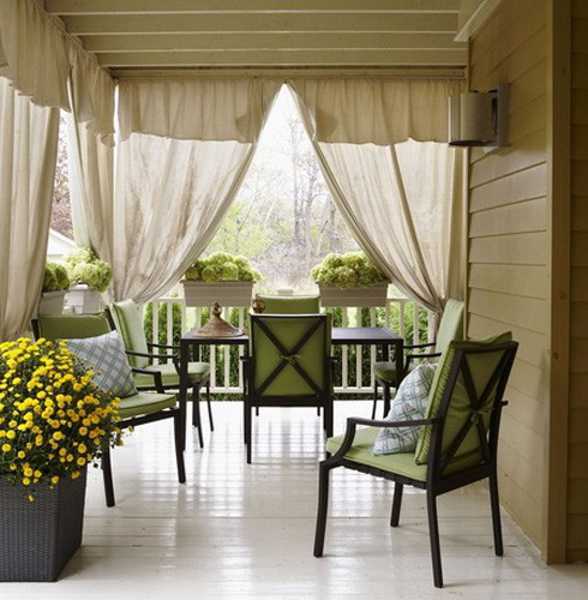 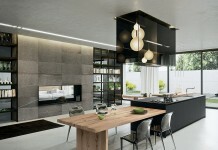 Highlight certain areas or use outdoor curtains to frame a space. 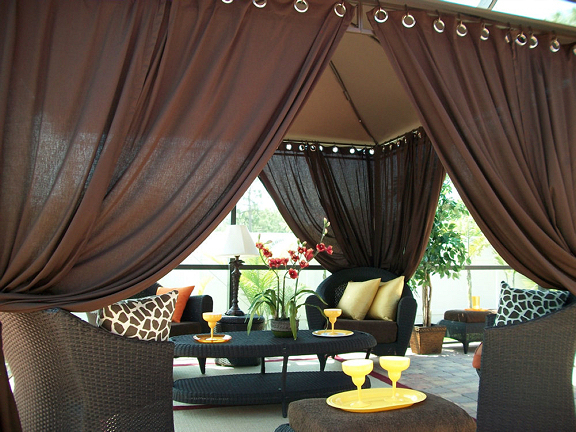 Accent a structure with curtains for entertaining or special occasions. 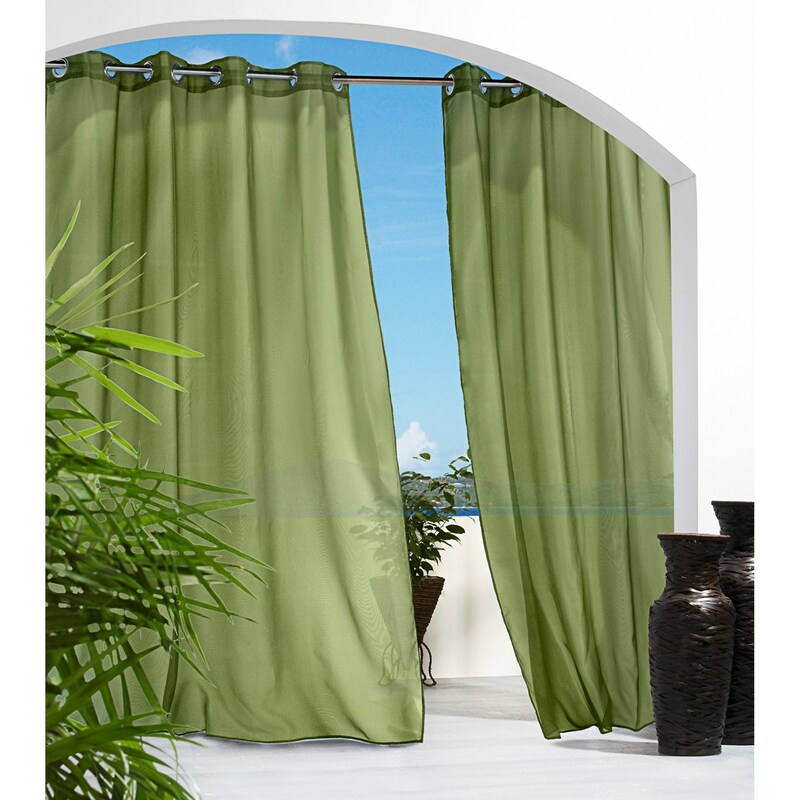 Let the breeze blow through or tie them in place. 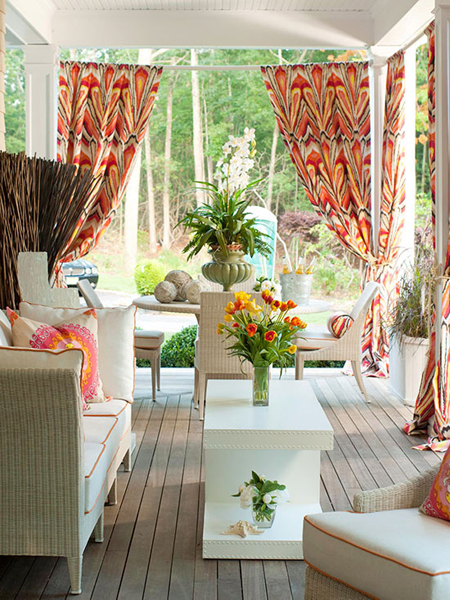 However you display them, curtains are sure to make a great addition to your outdoor space.